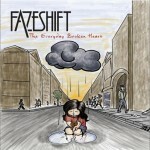 FAZESHIFT is a pop rock trio officially formed in 2005, hailing from the beautiful "Emerald City" of Syracuse, NY. 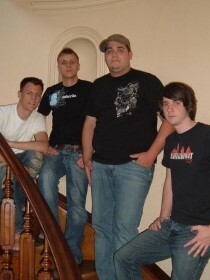 They have a distinct sound that comes from an interesting blend of various influences including artists such as: "Switchfoot," "Mae," "Owl City" and "Relient K." The group consists of Joey Bolognone on Lead Vocals, Guitar and Keys, Josh Salvage on Drums and Backing Vocals, and Alec Gilfillan on Bass. .... The members have quite a solid history together, both as friends and as musicians. Their combined faith is powerful and they all share a common purpose: to inspire others through their powerful hooks and lyrics embedded deep within their songs. They are simply dedicated to making a difference in peoples' lives....... FAZESHIFT has released three records to date, ("And Then There Was Life," "The Everyday Broken Heart" and "The Christmas EP") and also had their single "Fickle Thoughts" featured on the Atticus/Sleepless Entertainment "Sounds of Summer Volume 3" Compilation alongside other bands such as: "The Summer Set," "The Audition," "The Secret Handshake" and "The Dangerous Summer." .... In addition, the trio has also had the opportunity to tour a solid chunk of the United States on three independent tours to date. FAZESHIFT has had the opportunity to share stages with acts such as: "The Academy Is...," "Ryan Cabrera," "Rookie of the Year," "Fireworks," "Thieves and Villains," "Honor Bright," "Ultra Violent Lights," "Dirtie Blonde," "Nevertheless," "Kids In The Way" and "Mae," along with appearances at festivals such as "Barn Bash" and "Cornerstone." The group has also been featured in publications such as "AMP Magazine" and "HM Magazine." .... Currently, they just finished up recording new material with producer Paul Leavitt ("All Time Low," "Senses Fail," "Circa Survive," "Versa Emerge") and are excited to unleash it to the world! 2010 will be an action-packed year for the band as they plan on touring their hearts out across the United States and Canada, and continuing to build a legion of fans both far and wide. Watch out for FAZESHIFT on tour soon, in a city near you!.... ...... .......... ...... .......... ...... ..WAYS YOU CAN HELP US.... .. ....*Put our banner on your page.... .. .. ....*Add one of our songs to your music player on your page.... .. .. ....*Make a home for us in your top friends.... .. .. ....*Tell EVERYONE you know about Fazeshift.... .. .. ....We love you so much and none of this would be possible without you! .. Much love, Joey, Josh and Alec.